Today I talk about the best loser. 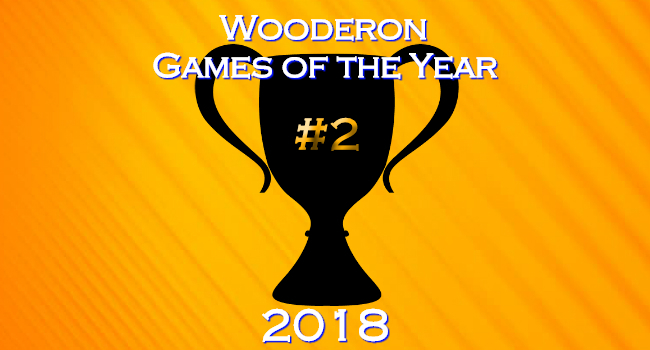 The game that almost won this little award ceremony of mine but still ultimately failed… I can’t even pretend to be serious… These games I’ve got to talk about in my top three are all games I loved. Being number two is never anything to be ashamed of. Unless you’re a crazy person. This is a game I would have happily given my number one slot to on a different year for all it’s achieved. It was a real toss up between this game and the one following, I flipped them over several times before eventually settling on this order. They’re two very different games that both managed to be refreshing and transformative for their franchises. I’m probably tipping my hand a little too much there, but hell with it, you can probably guess where this is going anyway by this point. A trailer dropped the other day for a live action Pokemon movie. Specifically, one based on the Detective Pikachu 3DS game. As expected the internet has been split asunder by this staggeringly weird trailer. Honestly though, I think it looks pretty good. Here’s the thing, sure, live action Pokemon are kind of freaky looking. But of course they are, how else would they possibly look. I even think the people making the movie lean into this by showing a Jiggypuff and Mr. Mime so prominently in the trailer. Monster Hunter World just came out and it’s literally all I want to do right now. This always happens when a new one of these comes out. The Monster Hunter grind is like some insatiable drug I can’t resist. It was enough of a struggle to break myself away for long enough to actually write this. I actually took a short break from the series when I just couldn’t play the game on a handheld anymore. So, the time that had passed, combined with this being on a console meant that when I got my hands on this game, it was like some beast had been unleashed and no amount of Monster Hunter seemed able to sate its hunger. Putting my fanboyisms aside for a moment: Monster Hunter World is probably the best stepping on point the long running series has ever had for people new to the series. Monster Hunter has always been something of an impenetrable series of games to get into. This new entry does a lot to streamline the experience, removing the unnecessary bits of upkeep that used to add extra layers of complexity to a game that was dense enough already.